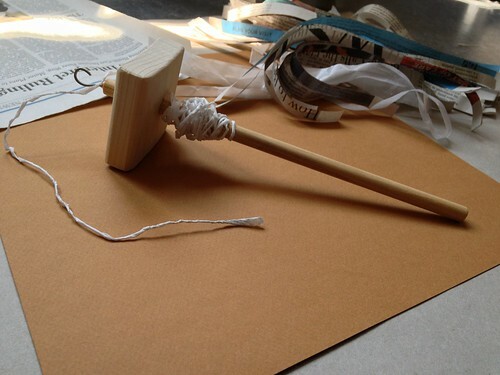 Make a drop spindle, a traditional tool we’ll adapt to create a spool of newspaper yarn. Newspaper yarn can be used to weave anything from rugs, to netting throws, to paper jewelry. We’ll help you make the yarn--what you make with it is up to your imagination. Email us pictures of your post-workshop projects and post them on our Facebook page.